What is a User Requirement Specification (URS) and why is it important? 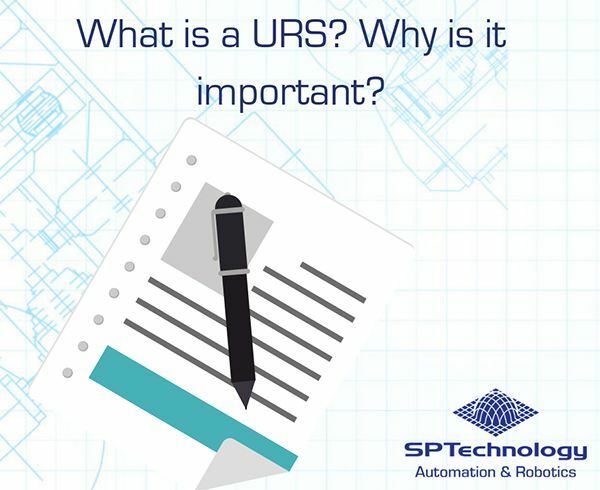 A URS is an extremely important technical document that is generated and used to initiate the tender process when a client is looking to purchase new capital equipment to automate a production operation. The document is specifically created as a place where the machine deliverables are recorded, whether they are a necessity or simply a ‘nice to have’ – as it may not always be possible to achieve all client expectations. The URS should outline the performance, quality, safety and testing requirements which the client expects to be achieved by the new system. It is subsequently used by the equipment supplier to compile a Functional Design Specification (FDS) where the supplier will list how they will achieve the deliverable outlines requested in the URS. The equipment supplier can then use their FDS document to formulate a quote/potential cost for the tender process. So now we know what a URS is, why is it important? It is crucially important that a URS is written clearly and concisely and that it is agreed by both the potential supplier and the end user so that both parties know what machine performance needs to achieve. Failure to produce a URS could result in wasted time rewriting documentation, offering the wrong automated solution or in the worst instance; providing equipment which is not suitable for the process. The URS can be as exhaustive as you like and generally the more effort put in at the start, the more likely the project is to succeed. It is often best to have the key requirements for the client from the outset of the process. Expectations of any solutions, such as productivity rate, quality expectations, specific functionality, or overall equipment efficiencies (OEE) should be documented within the URS. Production space is often a premium and each square meter is a valuable real estate, so this should be minimised, and any space constraints should also be noted. Providing this at the start, allows potential partners to know limitations. I.e. how to get the equipment to its final position once it arrives at the site. Give a summary. A good in-depth description of the expectations of the machine, the environment in which the machine will operate, how the process is currently done, the size of the area and running hours for the system. Provide datasheets for key processes or materials used on the system which are client specified etc. Provide as much information as possible to avoid misinterpretation from the outset. Establish a validation plan at the beginning. If validation of the machine is required, this process should start at the beginning of the project during the URS stage and throughout the design phase until the machine is ready for testing. Planning test protocols throughout the project will avoid validation failure and the need for retesting. Involve all staff currently involved with the process. It is essential that all employees buy in to the automated process. Your staff will be at the forefront of the operation and they will be using the equipment daily and ultimately responsible for the failure or success of the project. Again, this should be outlined in the URS. Who is responsible for the machine and everyone’s role should be noted. Do not combine the FDS and the URS. These should be kept separate as the intention of each is very different. The intention of the URS is to describe what the equipment is supposed to do not how it will achieve these goals. The URS is a client document where the FDS is a supplier produced document.